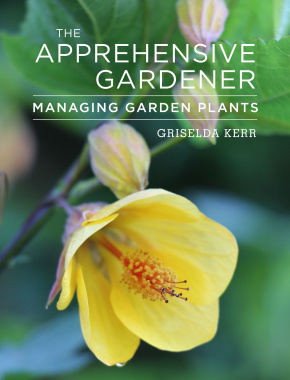 Griselda Kerr, who trained in horticulture and garden design at the English Gardening School, Broomfield College and Brooksby College, is a gardener, lecturer and columnist who describes herself as ‘always thinking about plants’. Her vibrant garden in Derbyshire is regularly open to the public and frequently features on Instagram. Follow Griselda Kerr on Instagram @griselda.kerr. "Griselda Kerr describes The Apprehensive Gardener as a crook to lean on - a guide to how to make the plants in your garden happy. Maintenance becomes a creative force in Griselda's hands and her tips are interesting and well presented."